Barbara and I have worked together for a few years. For a while, we worked at two different jobs together. Given how our weird world operates, though, we only see each other a few times a year. So I was delighted two weeks ago when I got to assist her with some large classes at the Metropolitan Museum of Art and have lunch afterward. 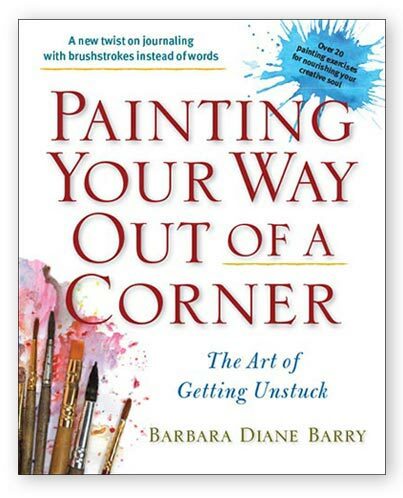 I was EXTRA delighted when she handed be a copy of her very newly released book, Painting Your Way Out of a Corner: The Art of Getting Unstuck. I decided I wanted to read everything that Jesmyn Ward ever wrote after hearing her Other People podcast. 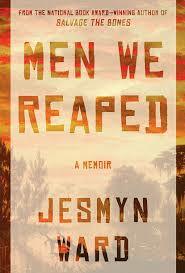 I acquired two of her three books–Salvage the Bones and Men We Reaped–as Christmas gifts and started my Ward-intake with her memoir, Men We Reaped. 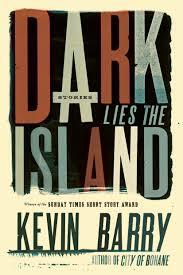 Although I’ve heard of him quite a bit afterward, when I saw Kevin Barry read a few months ago, his name was new to me. I was at his reading because he had been paired with Craig Finn from The Hold Steady, and I have a friend who wanted very much to see Craig Finn in conversation, regardless of his conversational partner. We were both pretty blown away by Kevin Barry. He’s Irish and the accent in combination with his animated reading style, more akin to storytelling than anything, was enticing. His banter with Craig Finn was great. It was kind of amazing how a guy from Ireland could nail Brooklyn so quickly. He said things like, “Isn’t everyone from Brooklyn moving upstate now?” and “In Berlin, we knew it was over when the Americans arrived.” We chatted after the event and I bought the book. As I’ll mention in all the blog posts I’ll write until forever, I was still reading Ulysses at the time, so I didn’t get to read Barry’s collection, Dark Lies the Island, until now.